Do you like iced coffee beverages as much as I do but hate paying almost $5 every time you want a fancy iced espresso drink at Starbucks? I thought so. Here’s how you can save so much $$ by making your own coffeehouse drinks at home! Now that spring is upon us, I find myself ditching the hot coffee most times in favor of their summery iced counterparts. In college I had a motto…”I’ll drink iced [coffee] unless there is snow on the ground,” which I now realize is mildly crazy. Sometimes there was snow on the ground and I insisted on holding my iced caramel macchiato with mittens on. There’s a time and a place for iced coffees. That time is NOW! At least it is in my neck of the woods. How’s the weather where you are? Do you like iced coffee beverages as much as I do? Yes? Hate paying almost $5 every time you want a fancy iced espresso drink at Starbucks? SAME. I have great news for you! I found a great way to make a delicious caramel macchiato without breaking the bank. If you’re a coffee addict like I am, you’ll likely have some of the ingredients already. 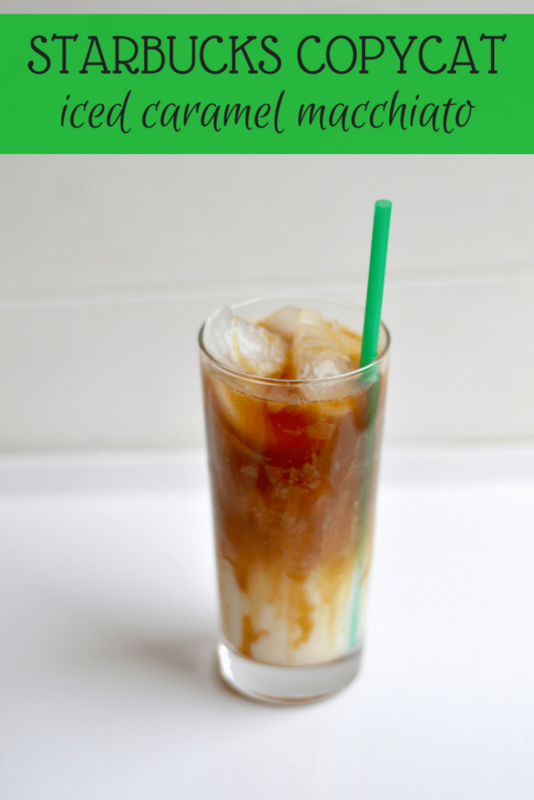 You can make around 13 homemade iced caramel macchiatos at a fraction of the cost from Starbucks! I’ll break it down for you cost-wise on how it can be done. I think I might be in love with caramel sauce. And just coffee in general. So is life. Caramel macchiatos pair excellently with these healthier chocolate chip cookies…don’t all cookies go well with coffee drinks? Anyhow, that brings us to $15.51 total in supplies, roughly $1.19 per drink, and they are usually a bit larger than the grande size at Starbucks. I pay $4.76 with tax included for a grande iced caramel macchiato and limit myself to one a week for both health and financial well-being. 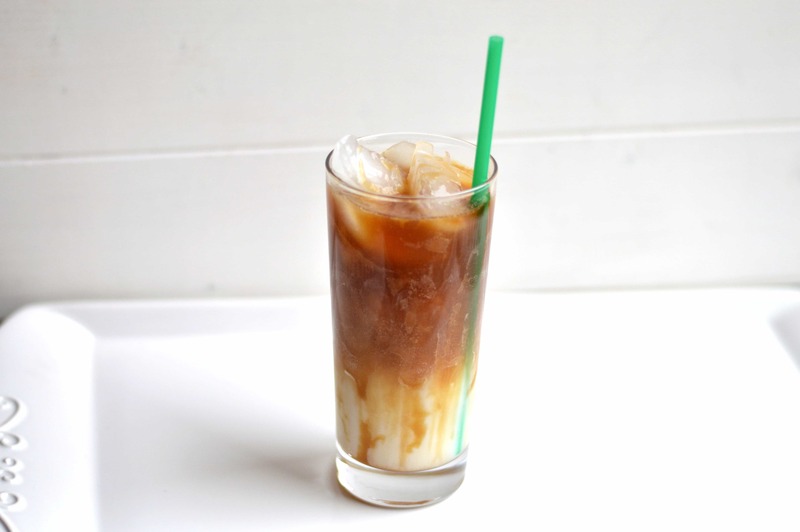 By making these homemade iced caramel macchiatos, you’ll be saving over $3.57 per drink because these certainly make larger than a grande size but I only had the price of a grande to work with. If you make these iced caramel macchiatos for the duration of the vanilla syrup bottle, you’ll save an astounding $46.37! Homemade caramel macchiatos for the win + all that money you saved! Now go buy yourself something nice! You deserve it! What’s your favorite coffeehouse drink? Do you like iced coffee beverages as much as I do? Yes? Hate paying almost $5 every time you want a fancy iced espresso drink at Starbucks? I have great news for you! 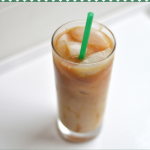 I found a great way to make a delicious caramel macchiato without breaking the bank. 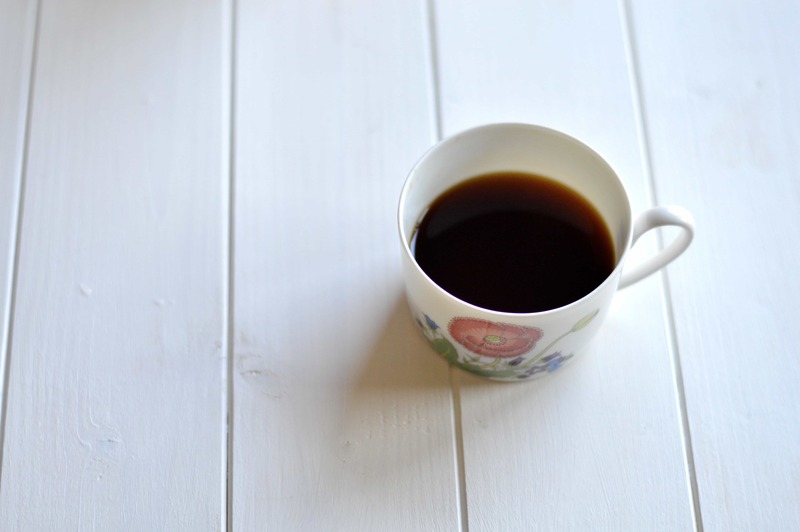 If using strongly brewed coffee, brew in advance to allow coffee to cool a little. 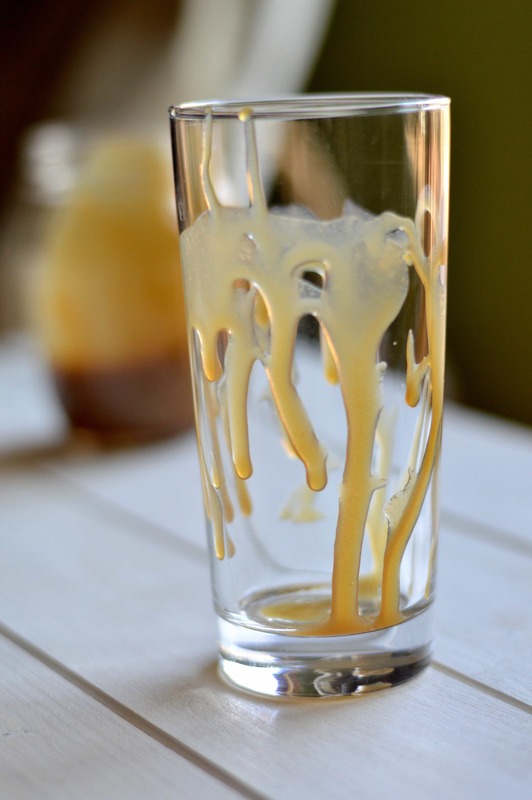 Drizzle glass with 1 tbsp of caramel sauce. 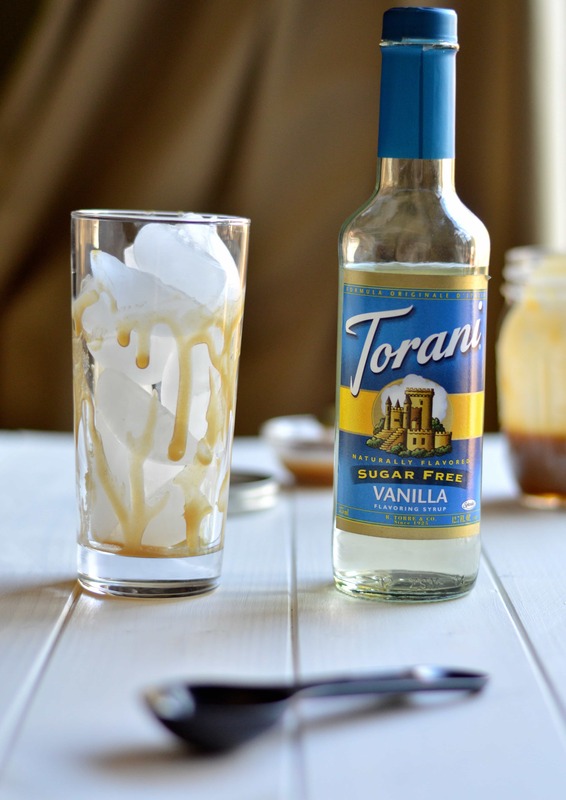 Pour vanilla flavored syrup over ice. 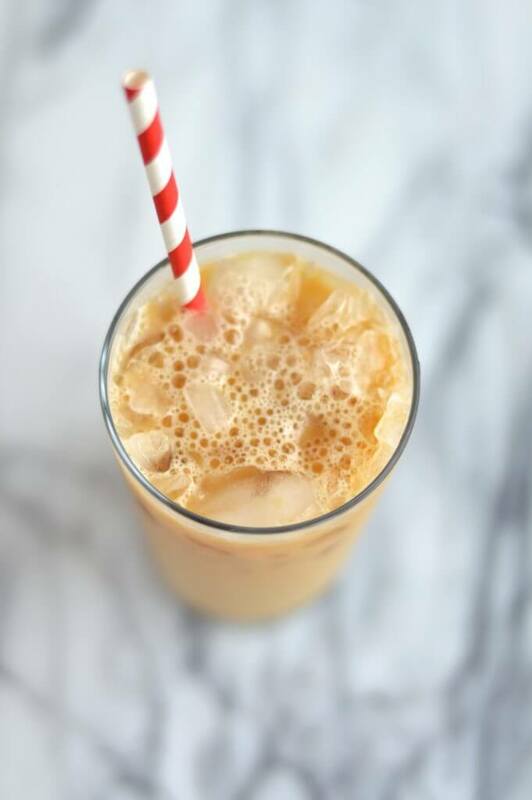 After coffee has cooled off, pour over the iced milk. Garnish with remaining tablespoon of caramel sauce. This recipe was lightly adapted from Eugenie Kitchen. Love coffee? 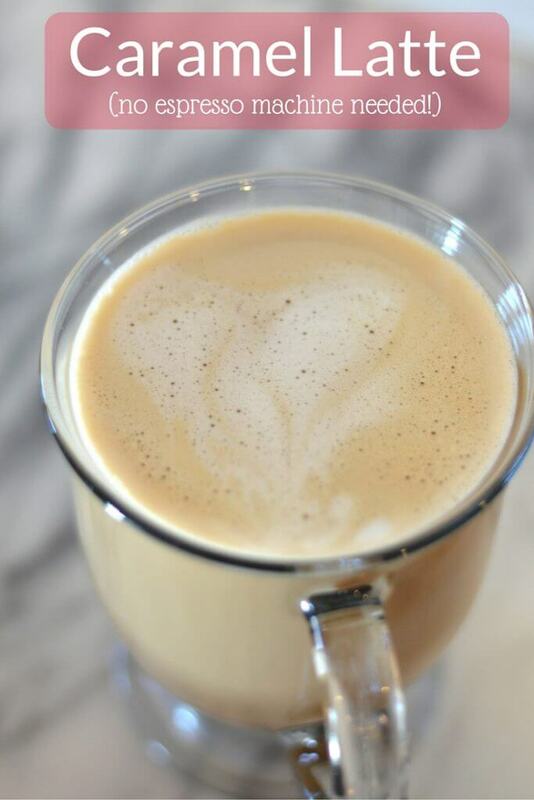 Then you might love this no-espresso machine caramel latte! This cold brew how-to video post is great for making smooth and delicious iced coffee! 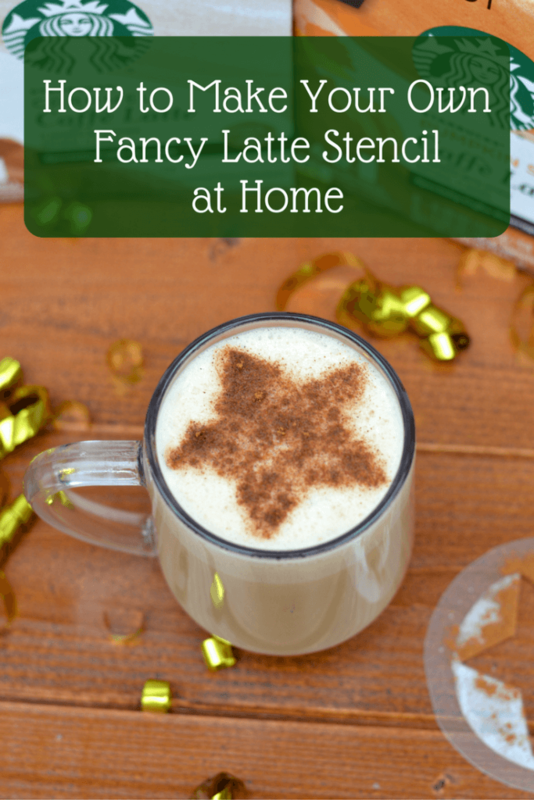 If you’re looking for a fun way to make picture perfect lattes, check out how to make your own fancy latte stencil! Oh my goodness, I need to try this! I hope you do, Norma! It’s one of my all time favorites. You should, Aydrene!! It’s one of my favorite coffee drinks ever! I love making coffee drinks at home, save money and calories! This looks delish, pinned! Thanks for the pin, Dorothy!! Thanks, Erin! It would be SO dangerous if I worked at a Starbucks–my eyes would be permanently stuck open from all the caffeine!